From thinly-sliced bulgogi to tender short ribs, nothing compares to the taste of a juicy cut of beef. 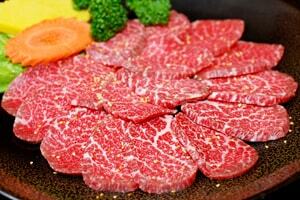 Kobe beef, raised in Japan’s Hyogo Prefecture, is known for a rich flavor, tenderness and marbled texture. While premium cuts like Angus or Wagyu beef are renowned for their taste, even simple, lean ground beef can be the centerpiece of a superb meal.